Does anyone have one of these tool? Packard tool number S.T.161. I need to replace the frame spring bushings. I have new bushings and pins but no tool to remove the old ones. Even a drawing so I can get one made. 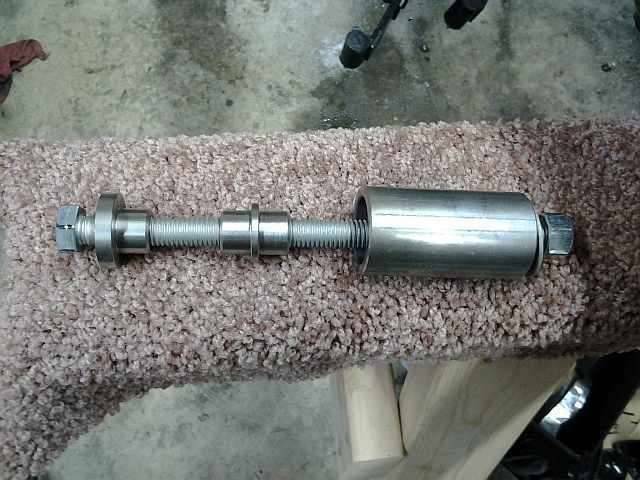 I don't have the specific tool you're looking for, but it's easy to make your own out of threaded rod and a few spacers sized to pilot on the bushing for press out and press in. I am facing the same dilemma. 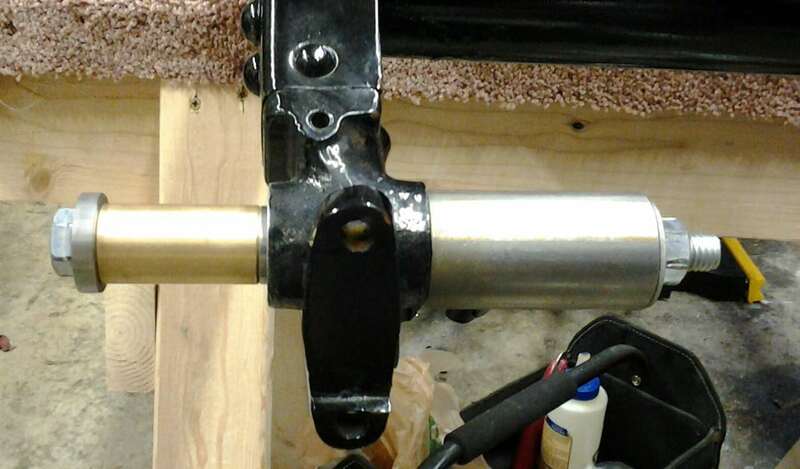 I just purchased a pristine set of pins and bushings for my 1929 Seven Passenger Sedan from Bruce Blevins. By the way, I highly recommend Bruce's work. He claims to have a set of factory blueprints from which he makes his replacements and my untrained eye would believe him. His pins appear identical to the originals in every way. I recall seeing the device you refer to, perhaps in the Parts catalog, and the drawing appears to be nothing more than a glorified C-clamp. I have only extracted one of my existing bushings, but the threaded rod and closely ground heavy washer strategy removed it with minor effort. I notice I deformed the edge of the bushing a little in removing it. Gentle heating may expand the metal a little, so I will probably experiment with that when I muster the courage to install the new bushings. I will also consult my trusted machinist about possibly grinding a precision brass adaptor to place against the new bushings before seating them. 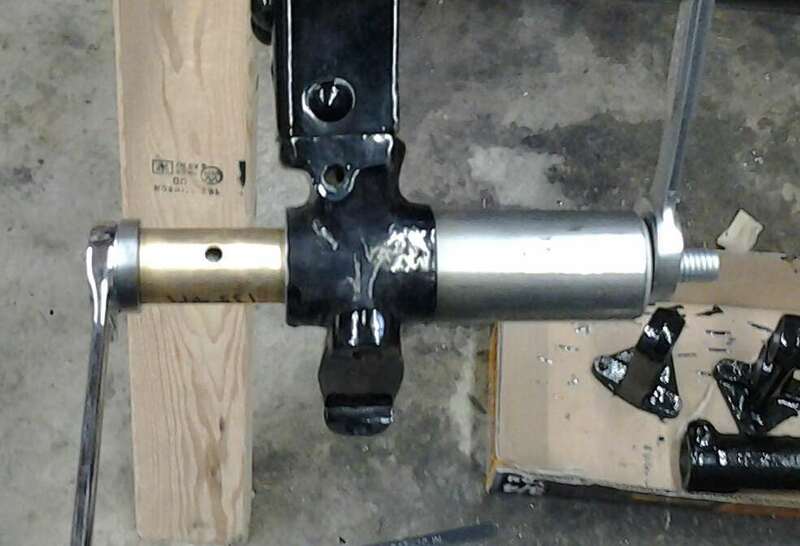 One friend, who is also a machinist stated the trick in reinserting bushings is to get them started straight, and as always, patience. Anyone brave enough to answer this related question would be much appreciated...I intend to have my frame powder coated...should I press in the new bushings before or after the powder coating. I am sure harbor freight probably has something that will work and cheap also! 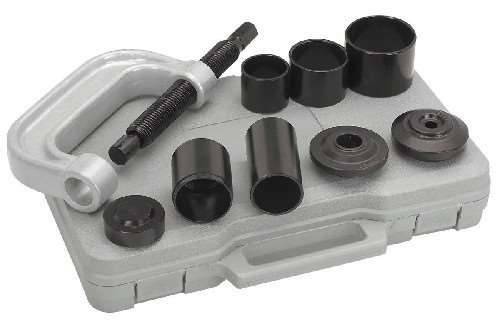 Search the interwebs for a "control arm bushing tool", or your local autozone/napa may have a rental/loaner available. 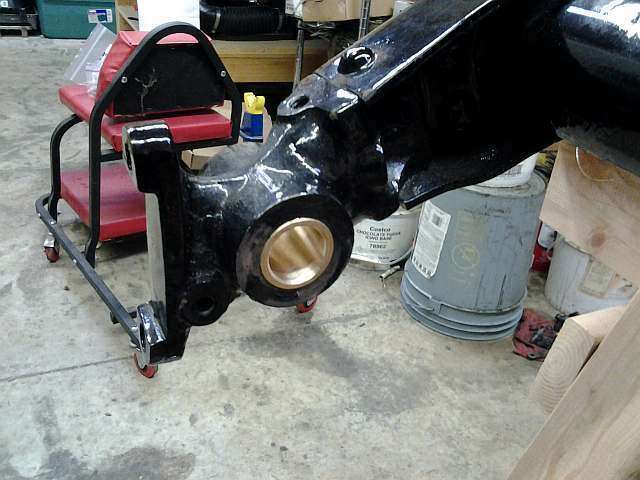 There was nothing commercial existing that had the span for two bushings or the right diameters for push parts. I took my measuring tool and drew up rough drawings and had a local machinist make me a tool. I have attached the drawing and photos of the tool in operation replacing my front spring frame bushings. The tool cost me $120. Also from Bruce Blevins, place the new bushings in the freezer overnight and remove them just when you go to push them in. I also could not push out the old bushings when I first tried. I took a jig saw blade and cut the side out of the old bushing taking care not to cut into the frame fitting. This allowed the old bushing to loose its friction with the frame fitting and everything slid into place. Note it takes a good deal of effort to turn the wrenches but the new bushings eventually were pushed into place. I did note that after installing the new bushings the new bolts would not go in smoothly. 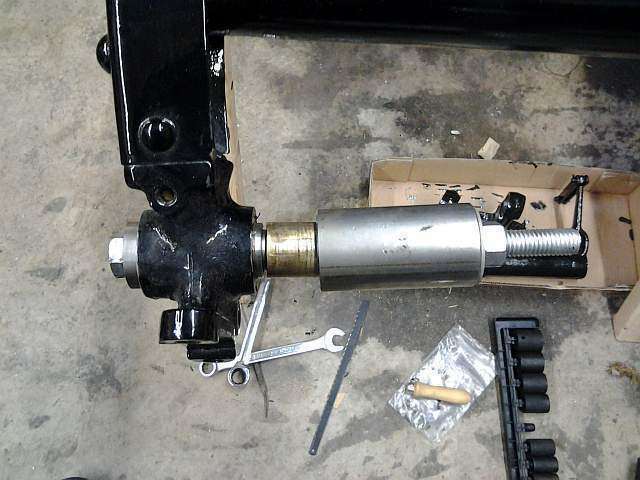 I took a rotary sandpaper tool and a drill driver to remove some bushing material until the bolt inserted smoothly. I will also have to reem out the shackle fitting holes too. Seems the new replacement bolts are just a hair too big. to PackardInfo and for the link to the free download of your new ebook featuring your top 50 homemade tools. "Out of chaos comes order" - Nietzsche.